Never Outgrow My Heart Granddaughter Pillow from Collections Etc. $9.99 $8.99 Save up to 10% Now! 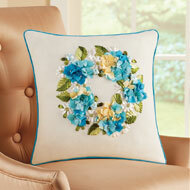 Show your granddaughter how much you love and treasure her with this tapestry pillow. 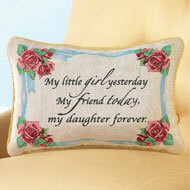 The heartfelt saying reads, "Granddaughter, you may outgrow my lap but you will never outgrow my heart". 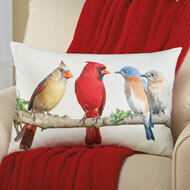 Pillow is decorated with red heart border details and green leaf designs atop an ivory background. 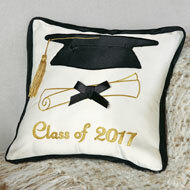 Beautiful gold rope cording adds the finishing touch. Zipper at the bottom allows you to remove the cover for machine washing. Cotton, polyester and plastic; imported. 12 1/2" x 8 1/4". I bought one for each of my granddaughters. Love this product and great to buy.. I love this gift for my granddaughter.